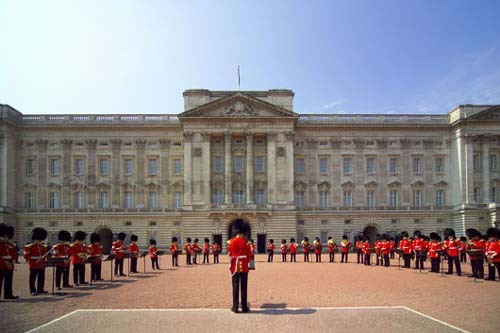 As soon as you arrive in London, you can’t miss the following monuments and squares. This is a small guide in order to help you to enjoy your staying and your vacation. Royal Flag flies on top, so tourists know she is at home and they can hope to see her even for a few minutes. In the meanwhile, they can see the Changing of the Guard, which takes place everyday at around 11.30 a.m. This famous square was named after Horatio Nelson’s victory over Napoleon at Trafalgar in 1805. Nelson’s column, located into the centre, commemorates the victory. The statue on the top is over 5 meters high, and it shows Nelson without one arm and one eye, since he lost them during the fight. It’s the centre of the entertainment world of the city. In this area there are many theatres, cinemas, restaurants, discos and night-clubs. Its landmark is the very famous statue of Eros, which stands in the middle of the square. The building stands on the north bank of the river Thames and it is the pIace where the House of Lords and the House of Commons meet to discuss and pass laws. The Big Ben, which is a part of the building, is the symbol of London. Everybody takes a picture as a memory of the trip. It is the old Norman fortress built by WilIiam the Conqueror. Inside there are shown the “Crown Jewels” which belonged to the Royal Family. They are used only on state occasions, such as royal weddings. Anne Boleyn, the mother of Queen Elizabeth I, were executed here. The tower is held by eight ravens, and a legend says if they are taken off, the tower will fall. On the river Thames, there is a drawbridge which can be raised to let ships pass through.